Just this last Thursday, I posted a blog piece on my reaction to Hillary Clinton’s “fudging” of her family’s immigration history during a campaign event in Iowa. The post sparked a lot of (non-political) debate over the truth in genealogical research vs. that which makes a good story. 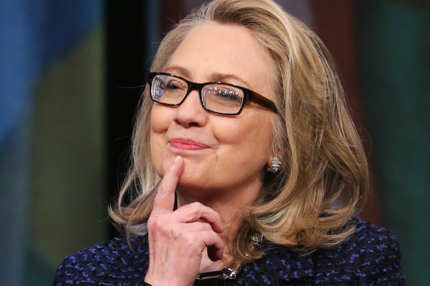 When the political element of Clinton’s story was taken out of the equation, the overwhelming response (from my participants) was that it is the details that make our family research impactful, and adherence to the truth is of the utmost importance. But Hillary’s little faux-pas was nothing compared to the stories that are slamming my newsfeed, clogging my email inbox, and lighting up my iphone today. Fudging details is much different from trying to erase them. And the story that is causing all the kerfuffle today is incredibly unfortunate, and so very, very sad.. 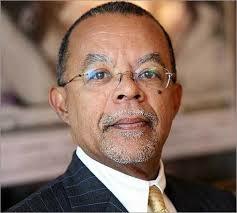 In a series of WikiLeaks emails (the same ones hacked from Sony a few months ago), Henry Louis Gates Jr, the host of one of my favorite shows, Finding Your Roots, on PBS, emailed Sony chief Michael Lynton asking for his “advice,” on a situation with one of his guests. 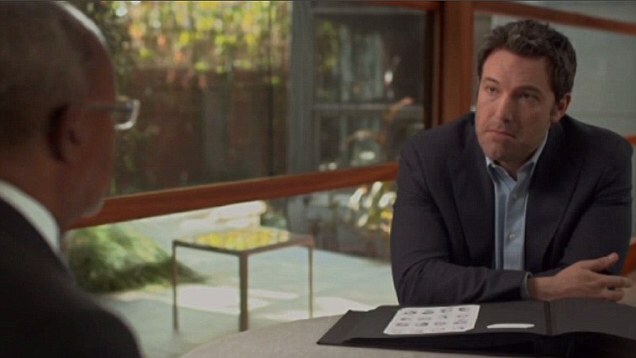 Actor and Oscar winning director Ben Affleck had (confidentially) requested that Gates remove his slave-owner ancestor from his family tree before broadcast. “We’ve never had anyone ever try to censor or edit what we found. He’s a megastar. What do we do?” Gates wrote. Michael Lynton replied, “I would take it out if no one knows, but if it gets out that you are editing the material based on this kind of sensitivity then it gets tricky. Again, all things being equal I would definitely take it out.” Gates believed that Affleck was getting some bad advice from someone, and admitted that censoring Affleck’s family history would be in violation of PBS’s rules. 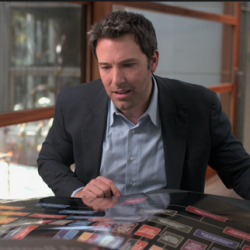 Ben Affleck and Professor Gates in a screen shot from the FYR episode in question. Bad decision. So bad. So very, very bad. And here’s why. 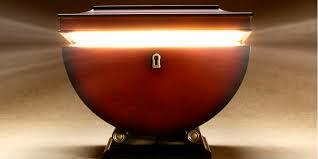 When we conduct ancestry research, we are, in effect, opening a Pandora’s Box of information. There is no telling what could come flying out. Regardless, we all need to be prepared to accept all the angels AND demons that escape that box. Sometimes they are amazing and awe-inspiring. And sometimes, sometimes, they are horrifyingly disgusting, and even somewhat embarrassing. But, the bottom line is, history matters. Um, unless it’s uncomfortable or embarrassing or something we don’t particularly want to talk about. Then we don’t want to share it. Then we just bury it and focus on the warm fuzzies and feel good things like Revolutionary War heroes and Civil Rights marches, and quirky occult enthusiasts, right? 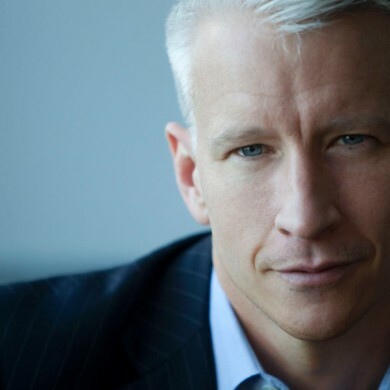 Anderson Cooper, another guest on FYR who learned he had slave-owners in his tree. Rather than trying to hide them, Cooper acknowledged the ancestors’ existence, stated his feelings about them, and moved on. The actions of his ancestors have no bearing on the person that Mr Cooper is today. 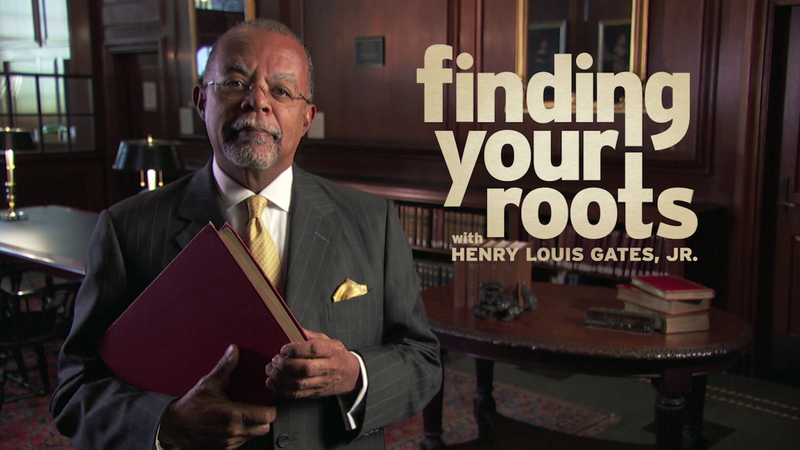 The thing is, Ben Affleck wasn’t the only Finding Your Roots guest to have found slave owners in his family tree. Several of Gates’ guests had slave owners in their family trees, yet they chose to take that information and learn from it. I’m fairly sure that Anderson Cooper wasn’t thrilled to learn of his ancestor’s past (which was particularly ugly). But he owned it. He acknowledged it, and he, like Ken Burns and the 4 or 5 other celebrities who learned similar information, took the news, digested it, and took pride in the fact that they took a different path in life—that they hadn’t followed in the ugly, racist, abusive path chosen by their ancestor. That’s pretty admirable. 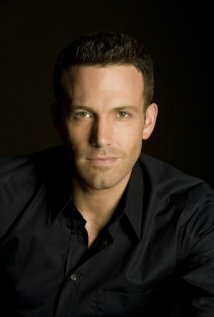 Ben Affleck has done a lot of good with his celebrity. He has used his fame and notoriety to draw attention to human rights abuses around the world. He has worked on projects combating worldwide poverty and for the UN Refugee Agency. He supports lots and lots of charities and has raised awareness for a multitude of causes. But he refuses to acknowledge the skeletons in his own closet—skeletons that were in that closet before he even moved into the house. We cannot remember what we do not acknowledge. We cannot learn from things we sweep under the rug. We cannot move forward if we do not look behind ourselves once in awhile and learn from what we see. Professor Gates, I can’t describe how disappointed I am. I looked forward to your show with great enthusiasm every week of every season because of the apparent blunt honesty and transparency your appeared to present. I was always interested to see how you and your staff approached uncomfortable information and presented it in a non-threatening manner. I’ve tweeted you (something I don’t do!) and gushed about your show and begged to be a part of it. But now, I feel like it’s all smoke and mirrors. I feel like it’s an over-edited fluff piece of pseudo-research created to stroke the egos of megastars. Saying that Affleck’s slave-owning ancestor wasn’t as interesting as the others is mind-boggling, especially since his mother was a Freedom Rider in 1964. She was a FREEDOM RIDER! Right there it proves that his family DID learn from their past. That they DID take their family in a better, more enlightened, more educated, and compassionate direction. Yet still, Affleck wanted it censored? WHY? To my fellow ancestry researchers and genealogy bloggers: Keep it up. Keep digging up the roots of the flowers and the trees and the weeds with the prickly bits. 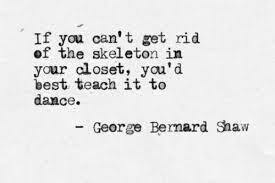 Keep pulling the skeletons out of your closets. 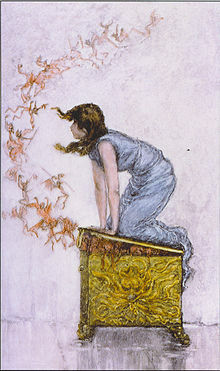 Keep prying open your own Pandora’s Boxes and letting the angels and demons escape. Keep doing what you’re doing. Because every story matters. History matters. The TRUTH MATTERS. Hey Ben– that ancestor of your doesn’t define you. Not one single bit. There’s nothing for you to feel shame, embarrassment or apologetic about. YOU have chosen a better path, and THAT is enough. Celebrate that. To Ben Affleck: Go back and learn more about this guy. Go back in time and go face to face with him. Learn all you can about him. Go back and see what he was all about. And then celebrate that you are nothing like the slave owning man who owned human beings. Celebrate the fact that you took a different path and that your children will never know the pain that their ancestor once inflicted on another person. Celebrate that your mother helped right a wrong and that you chose HER path. Don’t be embarrassed. You did nothing wrong. You have nothing to apologize for and nothing to be embarrassed about when it comes to this man. He is dead and buried, and his legacy has been altered by YOU. Oh, and Professor Gates, one more word from me to you: I still love your show and I can’t wait for a new season! Anytime you want an average American girl, I’d love to offer up any of my own personal skeletons you’d like to find! To Professor Gates: Please keep bringing us amazing stories. Please keep helping people find their roots and uncover the people in their past who have helped shape the people they are today. Please bring us uncensored, unbiased accounts of history. Please don’t vilify the actions of those who are long dead and expect shame and apologies and embarrassment from guests. Please remember that it is not the living who have committed these ugly acts, but it is the living who are committed to making the world a better place because of and in spite of their ancestors. And…. Please remember that history—ALL HISTORY—matters. 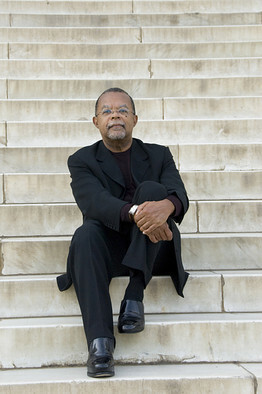 Photographer, Author, Researcher, Archivist, and Storyteller. All rights reserved. No part of this publication may be reproduced, distributed, or transmitted in any form or by any means, including photocopying, reposting, or other electronic or mechanical methods, without the prior written permission. Be cool, don’t plagiarize. If you want to use something, just ask. Thank you for your eloquent response to the current debates. We must own all of our personal histories, and all of the history of our countries and the world – it is the only way that we will learn from it. I have said this so many times when teaching and met many responses but I still adhere to this in my own research. Thank you! I get very passionate about genealogical research because everyone wants to be descended from kings, but everyone has someone crappy in their tree. It puzzles me when people get upset when they find a relative 3 or 4 or 5 or more generations back who was a bad human being. It’s not YOU. It’s nothing YOU did. There is nothing YOU have to feel shameful about. Own it. Acknowledge it. Celebrate that you changed the course of history. If your ancestors owned slaves, well, your takeaway is that someone, somewhere in your family line broke that chain and YOU don’t own people. It’s pointless to spend time and energy agonizing over something you didn’t do and something you cannot change. Just spend that energy being better today. You may so many excellent points — and state them so compellingly — that I don’t know where to start. So I’ll just say BRAVO. Beautifully written, Julie!